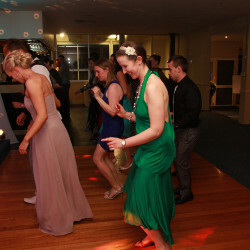 Saturday 1st September 2012, Ibis Styles Lake Hume Resort Albury. 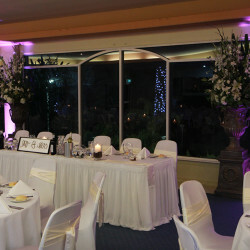 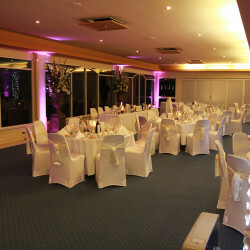 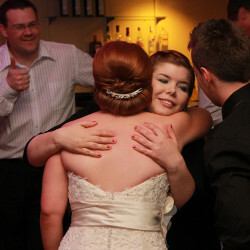 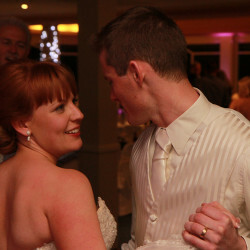 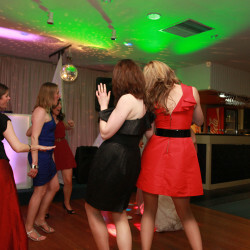 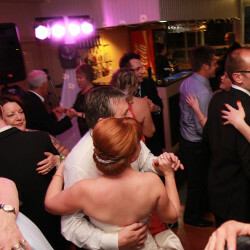 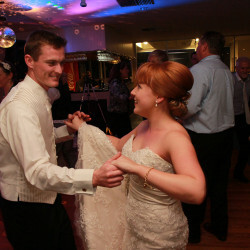 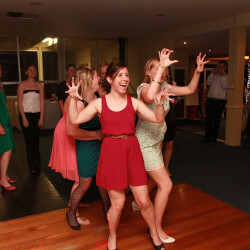 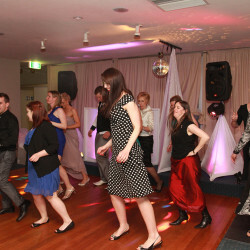 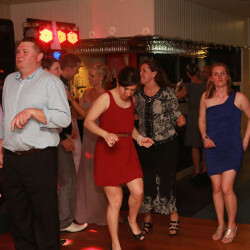 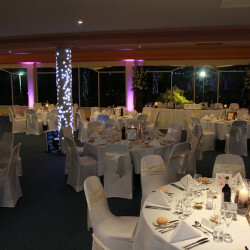 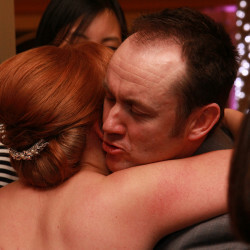 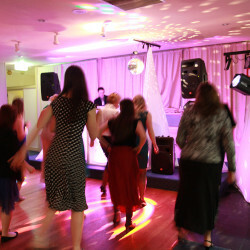 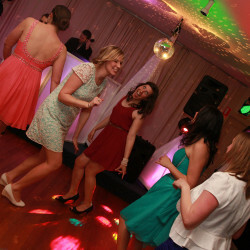 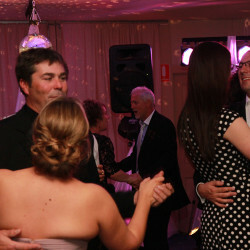 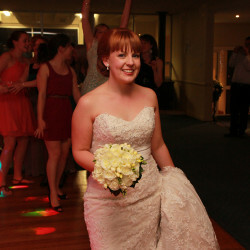 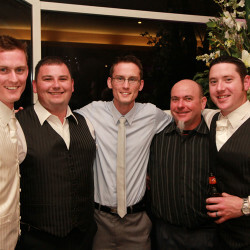 A great start to the wedding season for Stacey & Peter’s reception at Lake Hume Resort Albury. 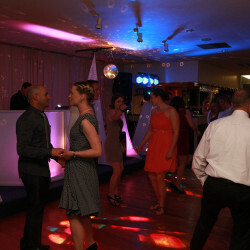 I (Jono Toohey) was MC & DJ assisted by DJ Brenden. 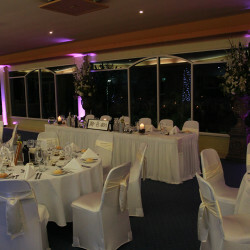 We included our premium setup and some purple uplighting throughout the room to enhance the already beautifully decorated room by Tracey @ Enhance Design and The Elegant Chair. 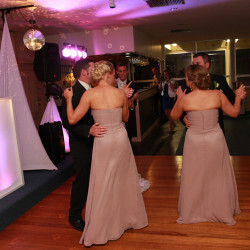 We included a personalised introduction about each bridal party member and how they are related before welcoming the Bride & Groom into the room. 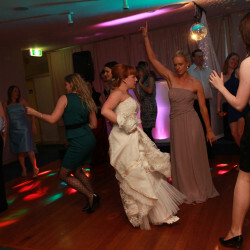 The “shoe game” was a hit and drew some great crowd applause (this is where we ask the bride and groom a series of questions including ‘who made the first move’, ‘who hogs the blankets,’ ‘who spends the most money,’ etc). 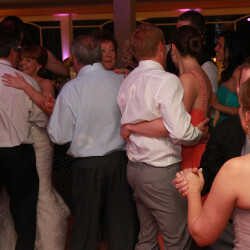 After the speeches we went straight into the bridal waltz, which was a choreographed rehearsed dance which kept everyone entertained. 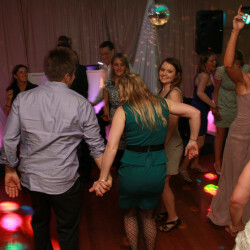 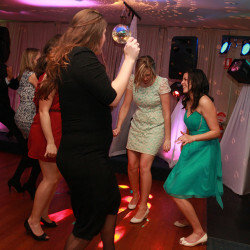 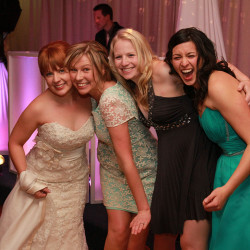 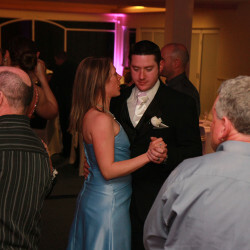 The next two hours saw plenty of fun moments on the dance floor. 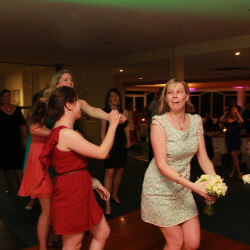 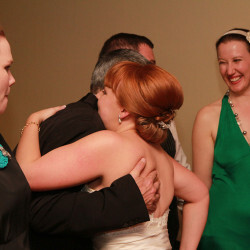 A highlight of the reception was the garter removal. 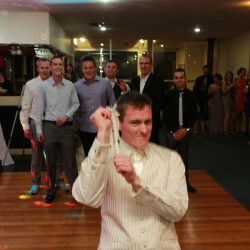 I encouraged Pete to use some props from his job as a fire fighter in the removal to put on a show. 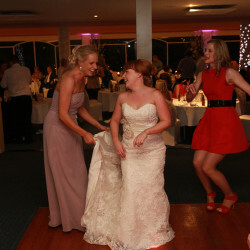 With some creativity we managed to include a fireman’s hat, fire extinguisher and fire hose under the bride’s chair, giving the illusion they were under Stacey’s dress. 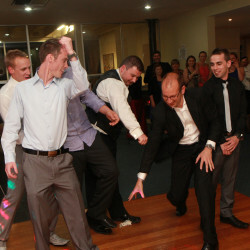 One of the funniest and most creative garter moments I have seen. 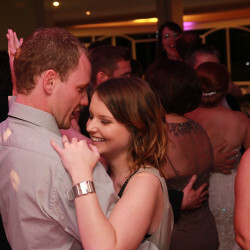 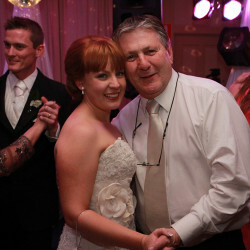 Stacey & Peter were such easy going clients and a pleasure to work with. 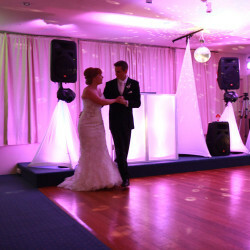 I am sure people will be talking about the special moments we helped create throughout the reception for months and years to come. 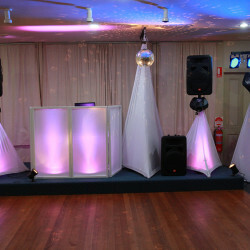 I love what I do!